This recipe comes from my grandmother’s recipe file. She, like me, sought out ways to celebrate each harvest and make it last. The first time I made these, I had no idea what to do with them. Luckily, they last a ridiculously long time in the refrigerator, so I had plenty of time to accumulate recipes. (After a year in the fridge, they still tasted fine, but I tossed them because it just seemed wrong to be eating something so old.) They are used often in North African and Middle Eastern foods. 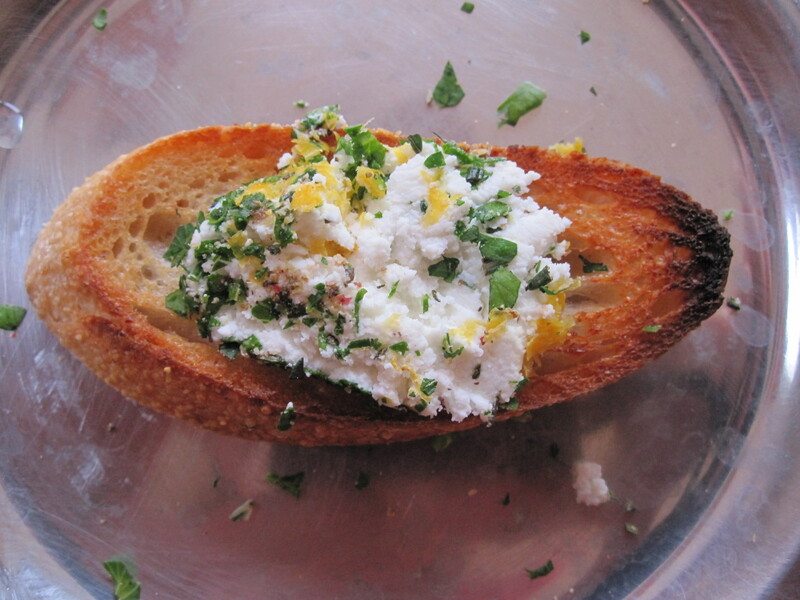 They can be added to dishes whole or you can remove the pulp and pith and add the preserved zest. Over the past four and a half years, my husband and I have mastered the art of the special dinner at home. Our kids, too young to tuck themselves in, hold us captive. We have a running joke where one of us asks, “What do you want to do tonight?” In response, the other spouts off lists of adventurous ideas all involving actually leaving the house together, even though our kids are sound asleep. We laugh as we pretend we have options aside from the rented movie, the game of dominoes, or going to sleep at a deliciously early hour- oh, now I really am sounding old. All jokes aside, a night at home can be quite special. 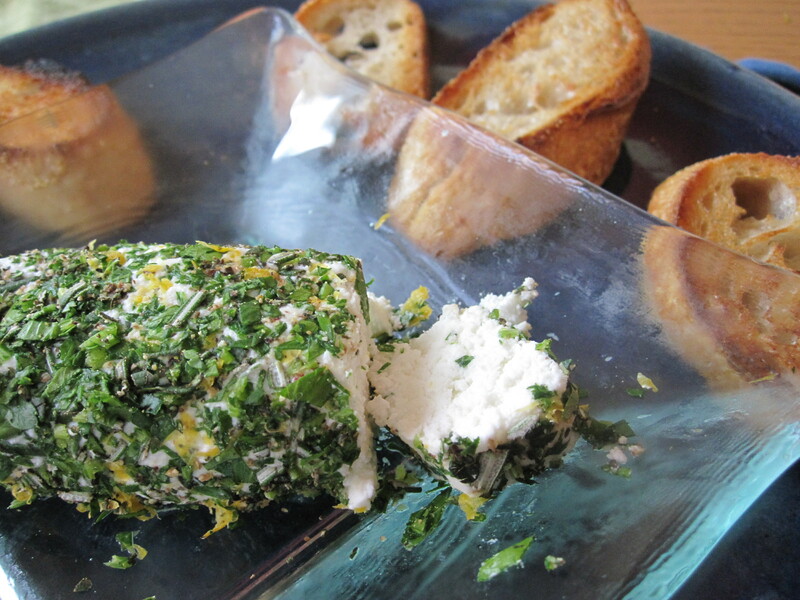 We prefer to celebrate the opportunity staying in presents, rather than long for the greener grass. 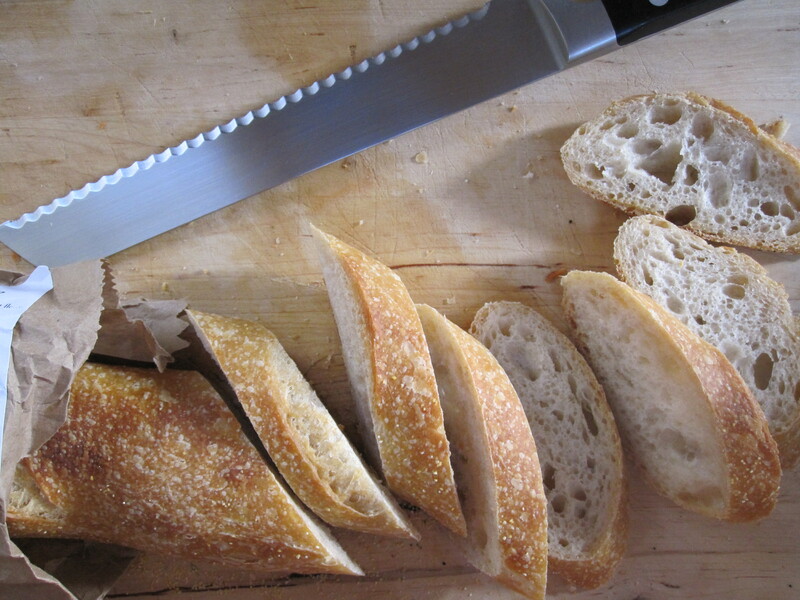 In our home every detail of our meal can be catered to our whim. We choose festive, fancy, or casual. Our tastes can travel to Thailand, Italy, or Mexico. We can eat with china or our fingers. At home we make the food exactly how we want to eat it. 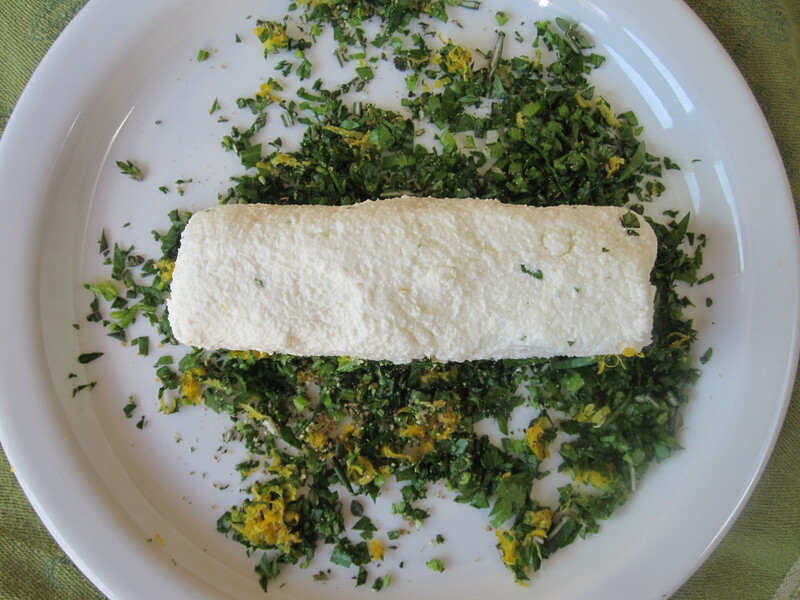 We use only the freshest, seasonal ingredients, all at a fraction of the cost of a nice restaurant meal. There is no need for reservations or babysitters. Perhaps the best reason to celebrate the special dinner at home, is the pride and satisfaction of sitting down together to eat a meal which one of us (or both) have put our heart and hands into preparing with love. Our most recent special meal was Herb Rubbed Pork Loin. I used an exceptional brine from the girl and the fig that I have used in the past with chops. 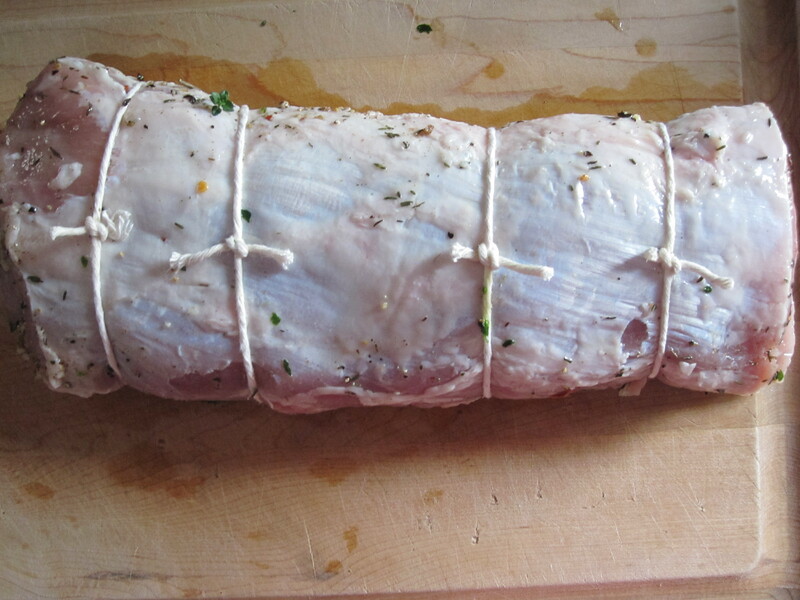 Brining allows the meat to retain moisture through the cooking and infuses the meat with tremendous flavor. To ensure the brine and seasoning could permeate the entire roast, I sliced the meat horizontally, a technique I picked up from Cook’s Illustrated. After the brine, I marinated the meat in mustard and herbs from the garden. 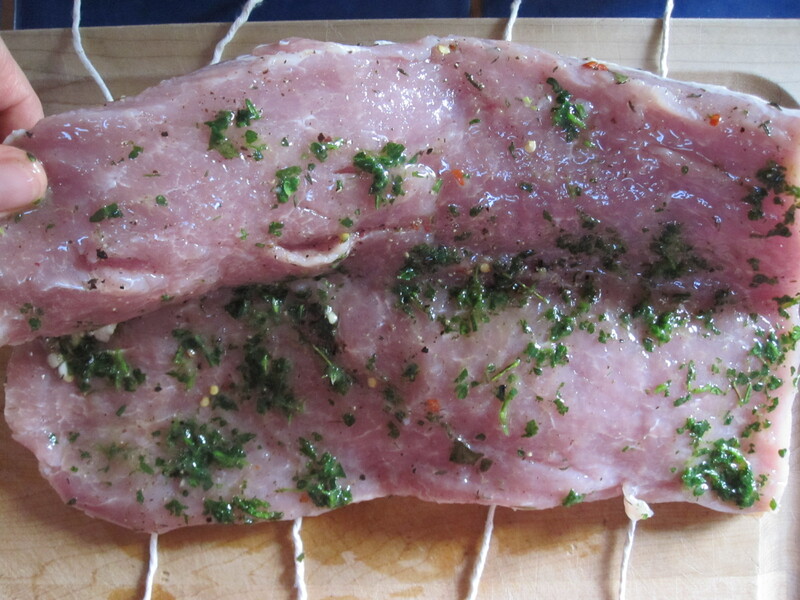 We were able to take advantage of unseasonably warm weather here in Sonoma County and grill the loin. This could easily be roasted in the oven as well with the added bonus of being able to collect the juices for a gravy. 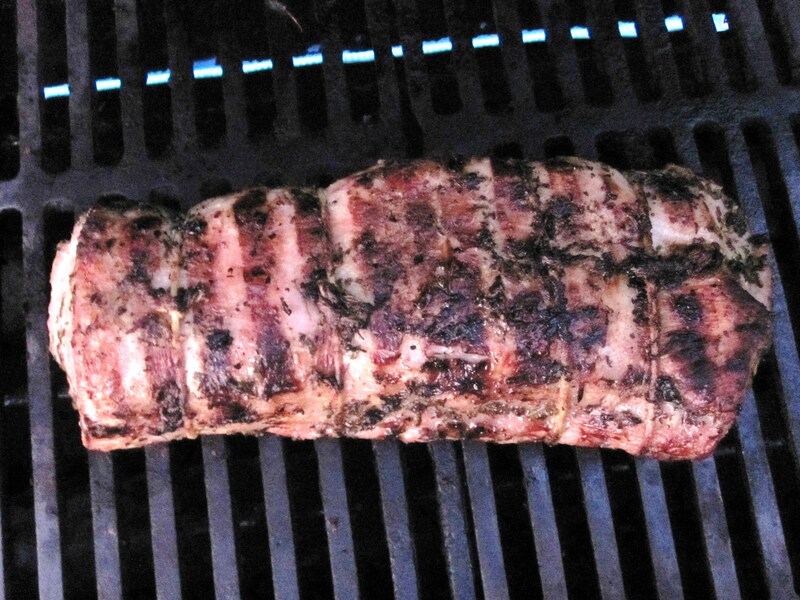 The pork loin turned out incredibly moist and flavorful. The brine perfectly seasoned the interior of the meat, and the marinade gave a delightful herbal tang to the exterior. 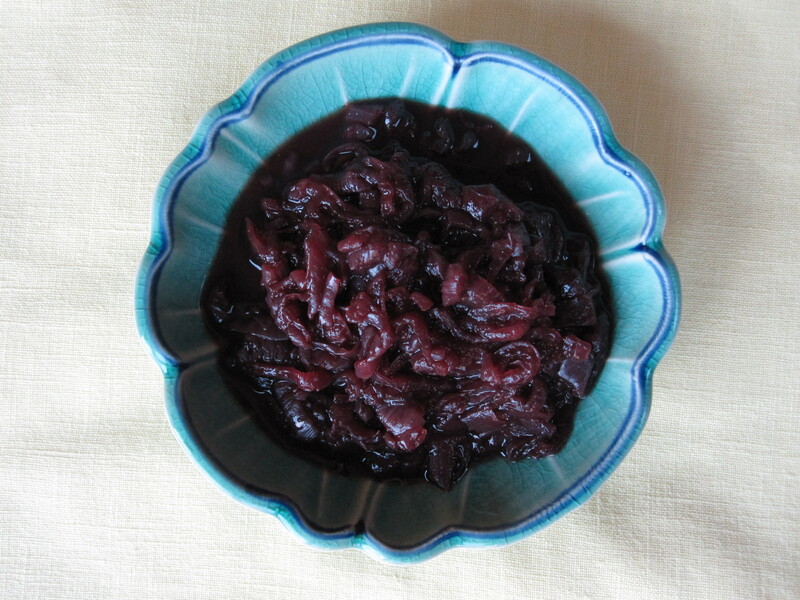 Do not overlook the Onion, Raisin, Garlic Compote, it is fabulous! We both agreed that we could eat an entire bowl of it as an official side dish. 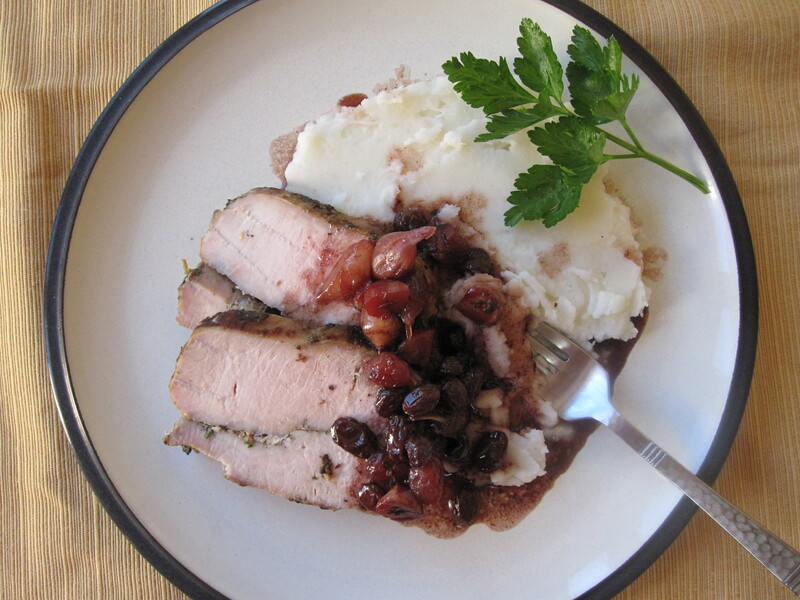 Onions, raisins, and garlic are cooked down with butter, port, and herbs. This is a perfect accompaniment to the pork loin. This meal turned another night at home with the family into a special night indeed. Oh la la, lovely lemon curd. 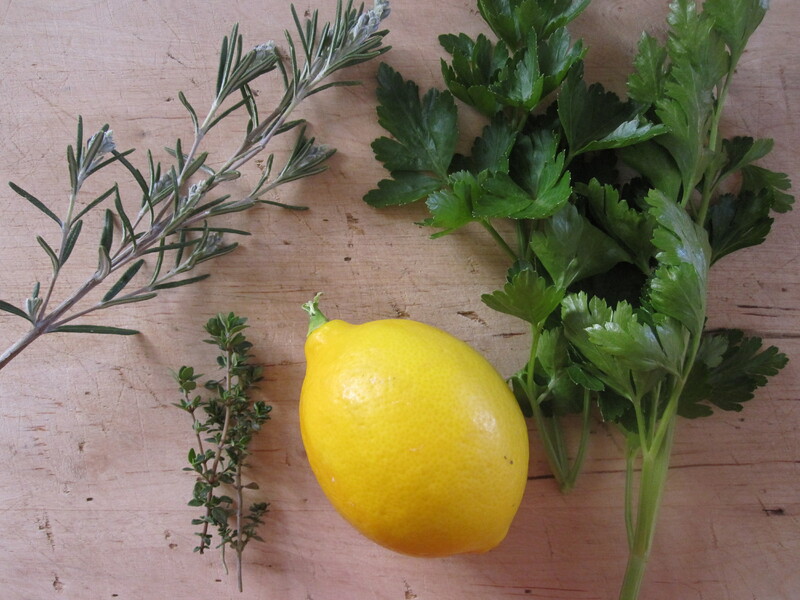 Lemons have always been a favorite. Growing up on the San Francisco Peninsula, we had a Meyer lemon tree. I would sneak outside to pick the lemons and eat them whole, despite my mother’s warnings that I was ruining my teeth. Now I am a bit (not much, but a bit) more sophisticated and like my lemons seeped in vodka or cooked up with butter and eggs (much healthier, I am sure). 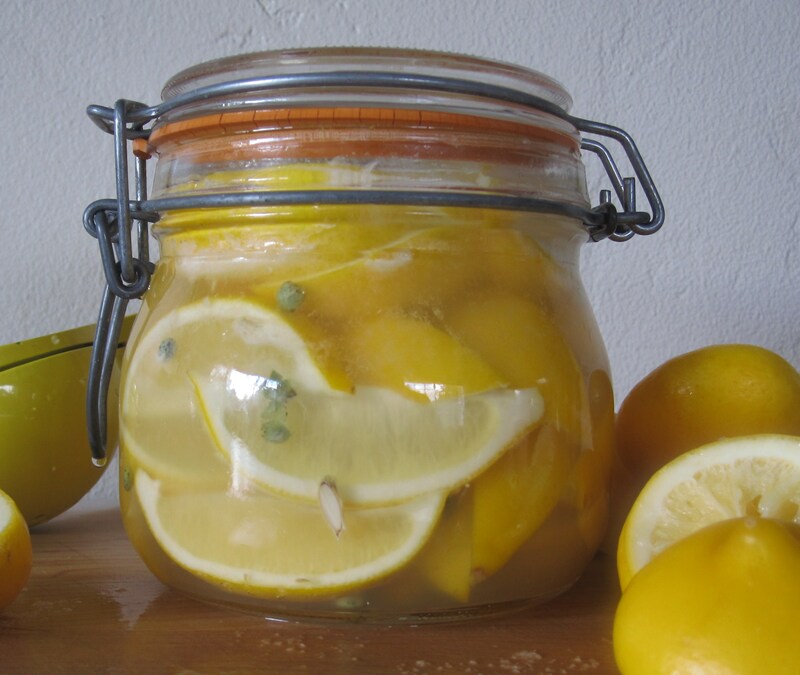 Deep in winter when the trees are dripping with lemons, one fabulous way capture the fresh tang of lemons is lemon curd. 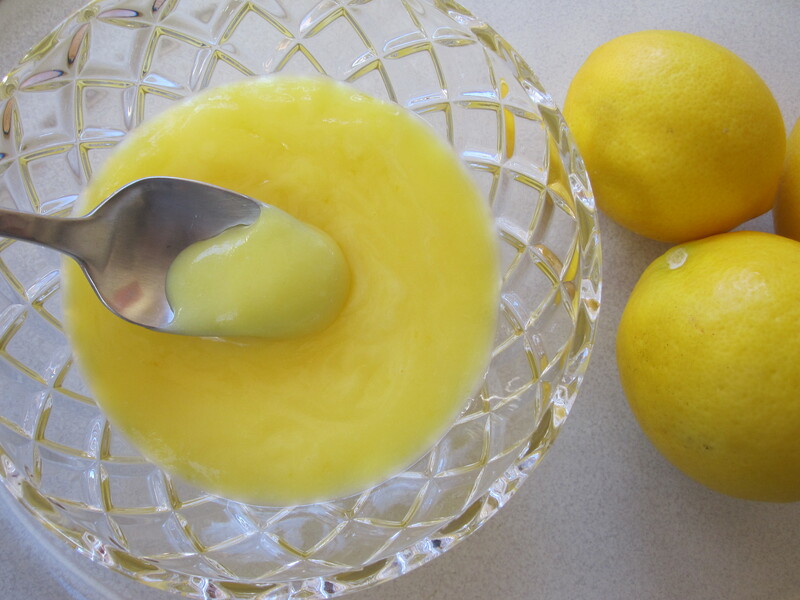 This lemon curd is intense, lemony, creamy goodness. 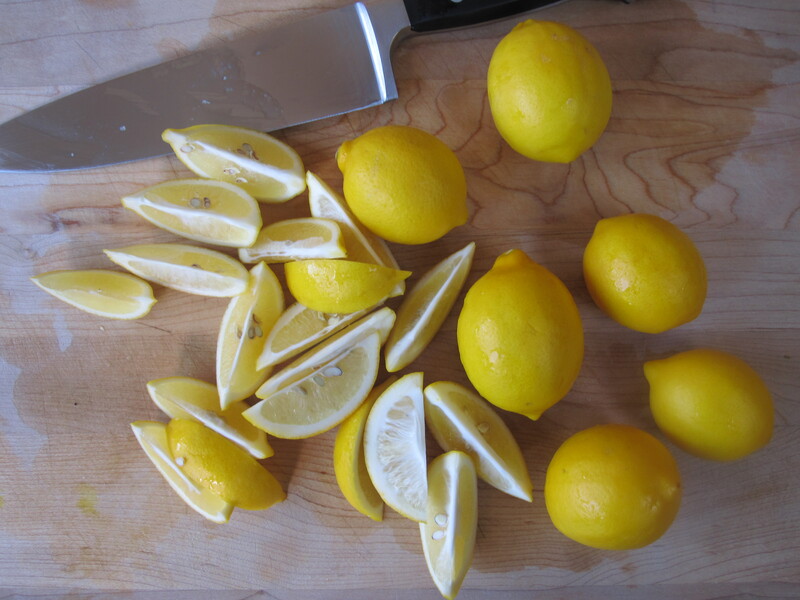 Meyer lemons work best here because of their balance of sweet and tart. 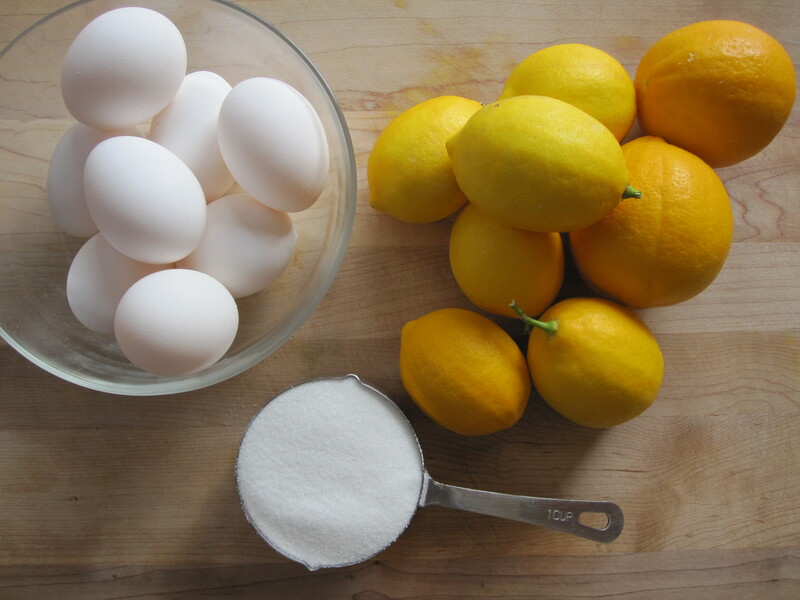 You can use Eureka lemons (standard supermarket variety) as well, just increase the sugar. I love the Superbowl, but not for the reason you may suspect. Football doesn’t hold much sway with me. What I do relish is the captive, hungry audience to feed. To me, the Superbowl is more about food than it is about the game. 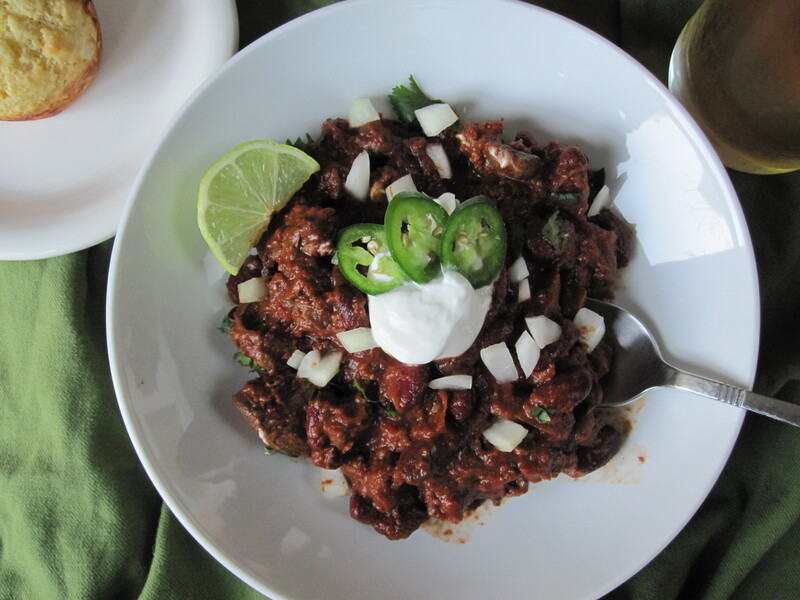 A rich pot of chili may be the ideal meal for game day. 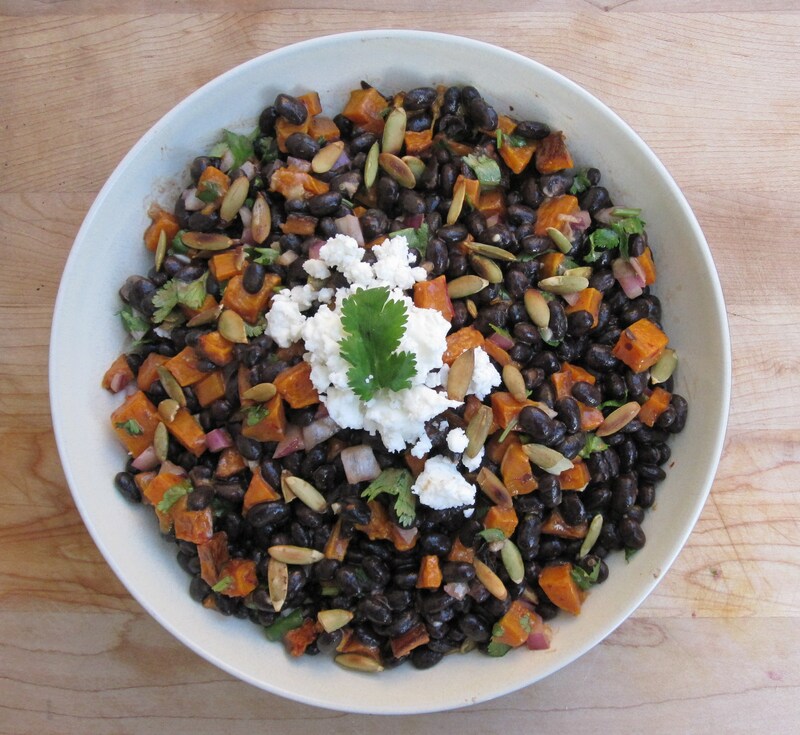 It can be made ahead and kept warm on the stove or in a crockpot. Hungry guests can easily fill their bowl whenever they like. I prepare it in the morning and let it cook long and slow on the stove or in the crockpot. All that is left to do before the game is to make sure there is enough beer in the fridge and whip up some cornbread. I know it is too early in the winter to feel this way and I am going to suffer when the wet and cold months roll on, but I have spring fever. We had a couple of warmish days around here and all I can think about is firing up the grill and bringing dinner outside. Alas, this cannot be done as it is still dark long before dinnertime and truly not all that warm. A girl can dream though, can’t she? We did manage to grill up some chicken burgers before the sun set and then rush inside to warm our bones while eating the burgers with a side of Chipotle Black Bean and Butternut Squash Salad.